We’ve all had our moments. If you hear that your blind date has a great sense of humor, perhaps you develop a preconceived notion about said date’s outward appearance. What if you were told that your date was an engineer? We thought it might be fun to try a little experiment. Since most readers of this article are, in fact, engineers, we wondered if you could identify the real engineers among the people profiled below. You have our word that there is at least one “civilian” among them, but the rest are card-carrying, hard-core engineers. The trick is, there’s not a slide rule or pair of taped-up glasses in sight. Meet Contestant Number One. He is a guitarist and singer who loves heavy metal and progressive rock. He began playing guitar when he was 12, and he lists Eddie Van Halen as an influence in his life. He continues to pursue a life-long dream of becoming a professional musician, but family (wife and toddler, plus one on the way) and work conspire to take up most of his free time. He has been performing in church bands (not showcasing his heavy metal repertoire, of course) since he was a teen. Is he an engineer? 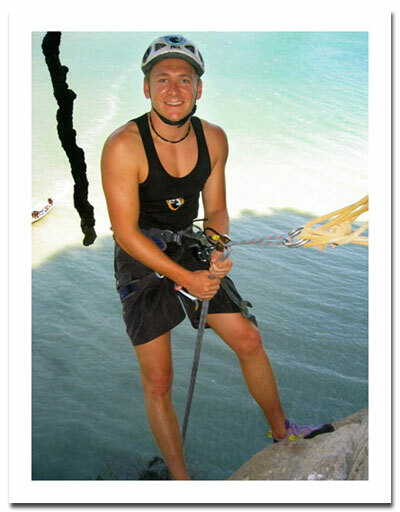 Contestant Number Two is an avid traveler, rock climber, and photographer, having visited 30 countries and 33 of the 50 US states to date. As a result, he has found himself a witness to history, most recently while visiting Thailand just weeks after the tsunami struck. He spent four days in Khao Lak, one of the most devastated areas, lending a hand wherever he was needed – cooking, cleaning, and entertaining displaced children with his juggling skills. When he’s not traveling, he is perfecting his techniques for creating gourmet desserts or honing his juggling skills. Is he an engineer? Contestant Number Three is a guitar-playing, baseball-coaching, Cleveland Indian-cheering U.S. naval officer with a passion for the classics (meaning Led Zeppelin, Jimi Hendrix, and The Who). A common thread through each of his varied interests is commitment. He has been serving our country, first as an enlisted man and later as a naval officer, for 20 years (and counting). 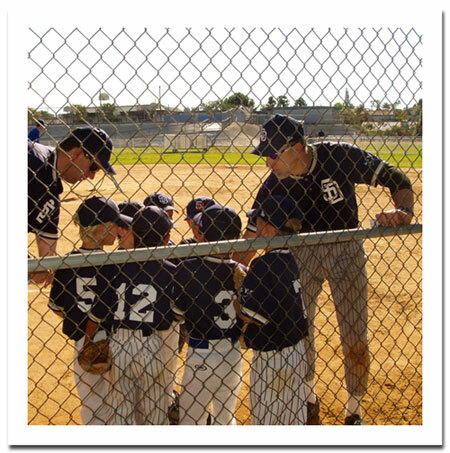 He has been a little league coach for his boys’ baseball teams for 10 years (and counting). He works with his older son on learning guitar, having turned to School of Rock for some inspiration. He can rattle off classic rock history factoids with the best of them. Is he an engineer? Next, we have Contestant Number Four. With more than 20 years of judo training under his, er, belt, he also has a passion for mountain climbing and other sports (squash, football, snowboarding, mountain biking, paragliding, and roller hockey, to name a few). But perhaps his most valuable time has been spent serving as a volunteer for a Nepalese charity called TOIT (The Organization for Indigent Tots), where he helped to organize a school to bring education to a group of 100 foster children. His next goal is to volunteer in his local community, where he hopes to combine his love of sports with helping the disabled. Is he an engineer? Contestant Number Five has been around the world, quite literally. He and his wife decided several years ago that they wanted to take a year off and travel the globe. We’ve all thought about it, but they actually did it – they took leaves from their jobs, rented out their home, and took off. He loves to steep himself in local culture, and will try just about anything once. He loves the outdoors, whether it involves sailing, kayaking, mountain climbing, or taking his motorcycle for a little ride from Portland, OR to Los Angeles, CA over a three-day weekend. Is he an engineer? This brings us to our final profile, for Contestant Number Six. He’s been playing Rugby for the past 10 years – No. 8 in the scrum, with a stint as a professional. He loves to travel and works hard to mix business with pleasure whenever possible – often piggy-backing sporting activities on top of business trips. He loves to kite surf and scuba dive, and he has done some sky diving and snowboarding, but perhaps the most extreme sport he has tried is Cage Diving at sea, where a group of six is submerged among a group of Great White Sharks for 20 minutes at a time. Is he an engineer? Make your picks before you read on and see how you did. To be sure, if nothing else, these guys go a long way toward debunking the myth of the nerdy engineer. Here we go with the answers. If you said that Contestant Number One was an engineer, you were correct. Meet Ben Jordan, Senior Applications Engineer in Global Customer Care at Altium. Although he’s been into heavy metal music since we was 12, he picked up a soldering iron to construct a beat-triggered strobe light when he was 8. He mentions that Eddie Van Halen was a strong influence for him, but not for the rock star image. Ben was inspired by the unmatched skill that Eddie has on guitar – the power and the passion in his music. His family was both musical and technical. His older brother paved the way for Ben, constantly exposing him to electronics and cool new stuff, usually related to music. Ben has worked very hard to achieve his status as a Senior AE. He got his AA in electrical engineering and worked as an engineering technician before going to university as an adult. He is still actively pursuing his degree despite a demanding job and a growing family. And, importantly, he has kept his passion for music very much alive. Contestant Number Two. Our juggler/rock climber. Engineer? Yes. He is Niall Battson, a Technical Marketing Engineer in the DSP Division at Xilinx, specializing in DSP intellectual property cores. He has been with the company for more than five years, with three on the technical hotline and two as a DSP application engineer. He has a bachelor’s degree from the University of East Anglia in England. His Xilinx co-workers describe Niall as a highly competent engineer who is highly unconventional with his free time, although even that characterization may be an understatement. We mentioned earlier that he has learned to create gourmet desserts. Although his original motivation for learning this craft was to attract dates, he wound up developing a passion for cooking. 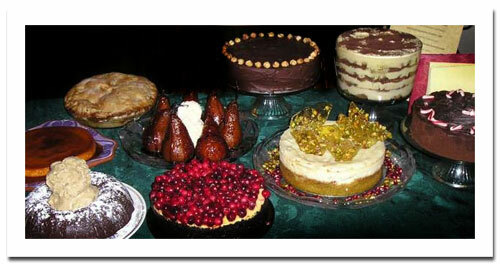 He hosts an annual holiday dessert and wine party for 100 friends, and he creates all of the confections. Sweet. Niall is a traveler, a photographer, an athlete, a volunteer, a chef, and a hard-core engineer. Nerd? We think not. Now for Contestant Number Three, our military man. Engineer? Yes. Dr. Tom Cesear is Chief Scientist at AccelChip (actually Xilinx as of last week – see press release), and he brings the same passion to his professional career that he has demonstrated as a military officer and father. Tom has a BSEE from Purdue University and an MS and PhD in electrical engineering from the University of California, San Diego. He is a recipient of the Howard Hughes Doctoral and Masters Fellowships. Tom is a hard-core DSP engineer with 20 years of entrepreneurial experience. He came to AccelChip through acquisition of bit-tru, where he was CEO. The company developed a C-synthesis tool and a library of parameterized IP models for key DSP functions. He has been chief scientist at both Centerpoint Broadband Technologies and Mentor Graphics. He also co-founded dQdt (later acquired by Mentor), which developed a parameterized library of DSP cores, and he also worked as a senior staff engineer at Hughes Aircraft Company. If you’re thinking that professional bio sounds like a full-time gig, remember that during all of this time, Tom has been serving as an Engineering Duty Officer in the U.S. Navy and staying active with his family. How are you doing so far? Have you been able to spot all of the engineers? OK. Three more to go, and at least one is not an engineer. Any guesses before proceeding? Now let’s meet Contestant Number Five. He’s a motorcycle enthusiast and world traveler. Is he an engineer? No. He is Sven Haarhoff, Director of Development and Outreach for the San Juan Preservation Trust. Sven is a 20-year communications industry veteran who has worked in various print and television news organizations (including CNN), public relations agencies, and technology companies. A resident of San Juan Island in the state of Washington, he is passionate about preserving and protecting open spaces and natural habitats. Interestingly, Sven shares many personal interests with our profiled engineers. It is only their professional affiliations that differ. Did you choose him? Which brings us to Contestant Number Six. He is a Rugby player and cage diver. Is he also an engineer? Absolutely! Daniel Denning is a Field Applications Engineer at Nallatech. He has been with the company for five years. He received his degree in Electronics and Computing from Nottingham Trent University and completed his Doctorate in Engineering (with sponsorship from Nallatech) at the Institute of System Level Integration in Scotland. He specialized in encryption systems for FPGA reconfigurable computing. His doctoral work concluded with the fastest block cipher implementation of all the ciphers recommended by NESSIE (New European Schemes for Signatures, Integrity, and Encryption) and CRYPTREC (the Cryptography Research and Evaluation Committee in Japan). Dan is a great example of a multiple stereotype buster. Would you think that the guy who received his Doctorate in Engineering specializing in encryption was No. 8 in the scrum for the Professional Rugby Club in Nottingham? Or did you think something different based on your own pre-conceived notion of a Rugby player? Well, that ends our experiment. Although you don’t walk away from this article having learned how to tie the perfect tie, take heart. Maybe the next time you hear a joke that starts, “This engineer walks into a bar…” you can think of a different punch line. Just out of college and needing some extra cash during the holidays, I worked briefly for a high-end haberdashery in Virginia. During orientation, we learned the tricks of the trade, including how to tie the perfect tie (I can still perform this impressive parlor trick…) and how to fold and stack dress shirts. But tucked neatly among all the expensive men’s clothing presentation skills was an actual life lesson. We were coached that we must not judge any customer by his appearance, and that some of the most important clients to visit the store would look quite the opposite. On further scrutiny, this amounts to no more than selfish altruism. The company’s policies were driven less by a social conscience than by an astute understanding of the habits of their target customer. Still, I managed to walk away from the experience with a keen sense that what you see is often not what you get.